Looking for a healthy lunch that is quick and easy to prepare and will fill you up without any guilt? This quinoa with kale is it. Quinoa is not only delicious and versatile, it has so many great health benefits. 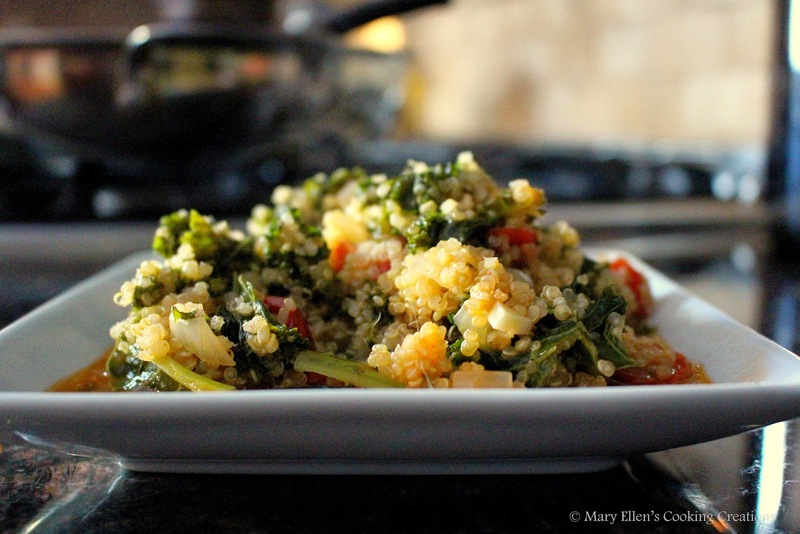 Check out this article on the 27 Surprising Health Benefits of Quinoa by The Cooking Detective. Once you do you will be running to the kitchen to cook up some quinoa!! I have made quinoa as side dishes, soup, and salads. For this dish I sautéed some onions, garlic and tomatoes before adding the quinoa and broth. 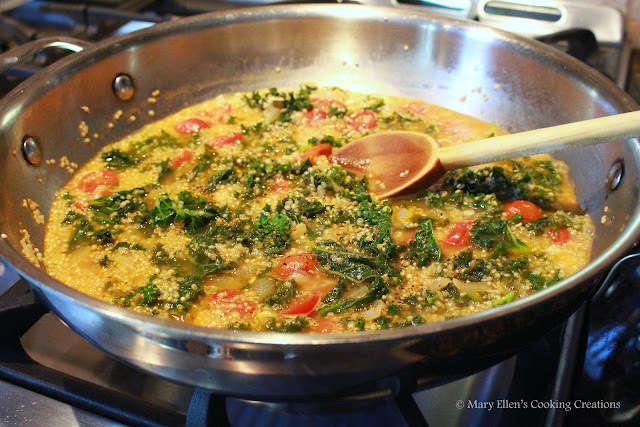 Near the end of cooking I added in some kale, my new favorite leafy green, and let it wilt. 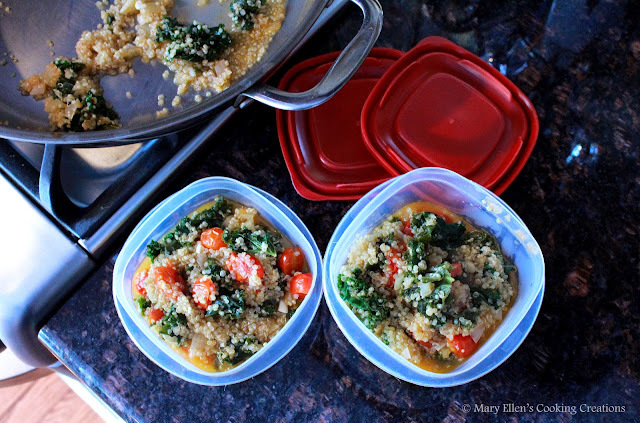 Once it cooled I packed it immediately in to some lunch containers so I'd be ready to go. I warmed this up to eat it but it would also make a great salad when the temps are a bit warmer. Add quinoa and stir before adding broth. Bring to a simmer and then lower heat to medium. Let simmer about 10 minutes. 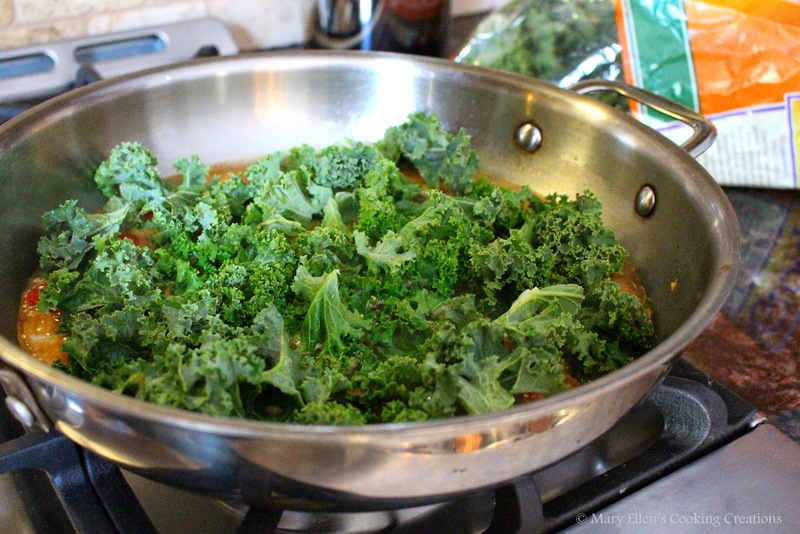 Put the kale in the pan and let it wilt down for a minute or two. Once it starts to wilt, stir to mix it in to everything. Let the quinoa simmer until cooked through, about another 5 minutes.